When tennis players talk about their “inner game,” they’re talking about the mental side of tennis, such as improving focus and concentration. But there is another key inner part—the digestive system. In a healthy digestive system, the cells that form the paper-thin lining of the small and large intestines are packed very closely together, so close that only what should pass through–digested food and water–can leave and enter the bloodstream. The tight junctions of the gut lining can easily be disrupted and become too open. Antibiotics; diets high in chemical-laden processed foods; sugar; alcohol; anti-inflammatory drugs, such as aspirin and ibuprofen; food intolerances; and many other dietary factors can damage the gut lining and force it to become more permeable. These same factors also affect the balance of both the trillions of beneficial and harmful bacteria in the gut. When this balance is disturbed, harmful bacteria can get the upper hand and cause an increase in gut permeability. The result is commonly referred to as “Leaky Gut Syndrome,” a condition that allows toxins, bacteria, undigested food particles, and other undesirable gut contents to enter the bloodstream and circulate to the rest of the body. A leaky gut can cause systemic inflammation. Because of this, the immune system may not protect as well as it should, and this can lead to increasing symptoms of tiredness and joint and muscle aches, which can result in more injuries while on the court. Digestion is adversely affected and people with leaky gut often complain of feeling bloated, having cramps and diarrhea. Over time, chronic systemic inflammation can lead to musculoskeletal problems, such as osteoarthritis, changes in body composition and increased risks for diabetes and heart disease. Athletes have another source of leaky gut syndrome: Overtraining. When an athlete works out hard over a long period of time, they put a lot of stress on their gut. Blood that’s needed for digestion gets diverted to the rest of the body—and the flow doesn’t necessarily get restored quickly enough when the workout is completed. In addition, the stress of working out and hard training over several weeks—in preparation for a big tournament, for example, puts the athlete at risk for developing a leaky gut. Studies have shown that workouts longer than two hours can be damaging to the gut. When the gut is compromised, it impacts the immune system. That’s why training too hard can lead to more easily catching a cold or stomach bug. It’s also why training too hard can be counterproductive to building strength and endurance. When training damages the digestive system, the ability to absorb and utilize nutrients efficiently is rapidly diminished and the body is being deprived of the building blocks it needs, while still putting the same demands on it. Instead of getting stronger and better, there is increased fatigue and risk of injury. The physical problems caused by overtraining can negatively affect self-confidence; the exhaustion can increase feelings of depression and loss of motivation to compete. Your gut affects the mental state in how a person feels physically but the reverse is also true. The mental state affects the gut and gut health. The physical demands of athletic performance may cause a stress response that can adversely affect the gut bacteria and cause leaky gut syndrome. So, when it comes to the inner tennis game, it’s clear that the gut is just as important as the brain. In fact, the two are inextricably intertwined. What affects one, impacts the other. Better gut health means a better tennis game. Chances are you’ll be stronger, have more endurance and mental focus, and have fewer minor ailments and injuries. 1. Remove processed foods, sugar, soy, gluten, lactose, artificial sweeteners and alcohol from your diet. Stop eating any foods you suspect you are allergic to or cannot tolerate. Stop drinking soda, even the sugar-free kind. If possible, remove any unnecessary medications. 2. Replace the foods you removed with a better diet that emphasizes fresh fruits and vegetables, high-quality protein and adequate amounts of healthy fats. Try to include some fermented foods, such as sauerkraut, kimchi or kombucha in your daily diet. 3. Reinoculate your gut with probiotic supplements to help restore and rebalance the beneficial bacteria and crowd out the harmful kind. Even if you feel your diet is good and your gut health is fine, I recommend taking a daily probiotic. Look for a brand from a trustworthy manufacturer (check the label for a third-party certification). The supplement should contain both L. Acidophilus and B. Lactis strains. In addition to the probiotic supplement, try to have at least one serving of a fermented food per day. These foods contain beneficial bacteria strains beyond those that can be made into probiotic supplements. 4. Regenerate and repair the damage to your intestinal lining with supplements such as the natural anti-inflammatory Curcumin and Omega-3 Fatty Acids. The amino acid Glutamine is a primary energy source for the cells that line your intestines. Taking supplements may really accelerate healing. 5. Retain the gains. 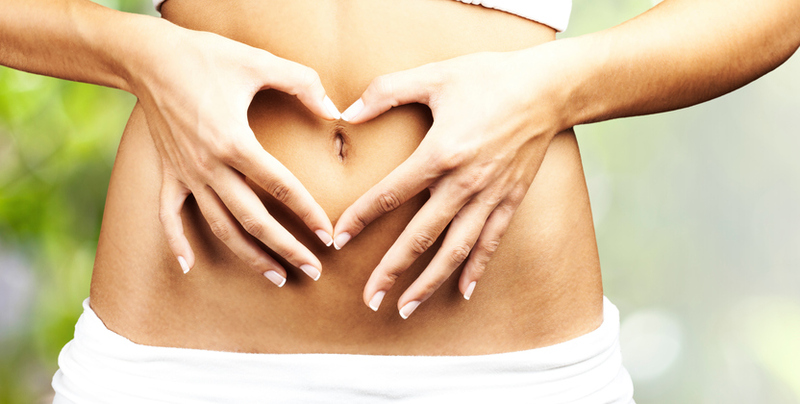 Gut health is an ongoing process. You’ll lose the gains you’ve made if you let processed foods, sugar and other harmful foods slip back into your diet. Continue with at least nine servings of fruits and vegetables a day; add even more if you can manage to. For maintenance, I recommend adding a daily multivitamin with Phytonutrients, Vitamin D supplements (2,000 to 5,000 IUs daily), and 2,000 to 4,000 mg of Fish Oil each day. There is no offseason for gut health. To keep your athletic edge, it’s important to stick with a healthy diet and take your supplements year-round. Preventing gut problems and keeping damaging inflammation from getting started can help your athletic performance stay at a constant high-level. If a leaky gut is impairing your game, the 5R Program will put you on the path to healing. Competitive athletes may need help from additional natural anti-inflammatory supplements. The one I highly recommend for my athlete-patients is Xanthohumol, a supplement made from hops. Xanthohumol blocks your body’s production of NF-Kappa B, the protein that sets off the inflammatory cascade. I also recommend Specialized Pro-Resolving Mediators (SPMs) to reduce inflammation. SPMs are derived from Fish Oil and are especially helpful as a substitute for non-steroidal anti-inflammatory drugs. If you have an injury that is slow to heal, there is a good chance you’re not producing enough of the natural chemicals that signal your immune system to shut down inflammation. SPMs give your immune system the extra boost needed to resolve any lingering inflammation that’s causing pain. A healthy gut can make a big difference to your tennis game by helping to improve your focus, endurance and strength. Your training program can be more effective and optimized if you include care of your gut, just as you include the care of your muscles and joints. Dr. Robert G. Silverman is a White Plains, N.Y.-based sports chiropractor and certified clinical nutritionist, specializing in functional medicine and the treatment of joint pain with innovative, science-based, nonsurgical approaches. He is also on the advisory board for the Functional Medicine University and a health contributor to various major TV networks. He is the author of Amazon’s Number One Best-Seller, Inside-Out Health. In 2015, he was honored with the prestigious Sports Chiropractor of the Year award by the ACA Sports Council. He can be reached by phone at (914) 287-6464, e-mail Info@DrRobertSilverman.com or visit DrRobertSilverman.com.